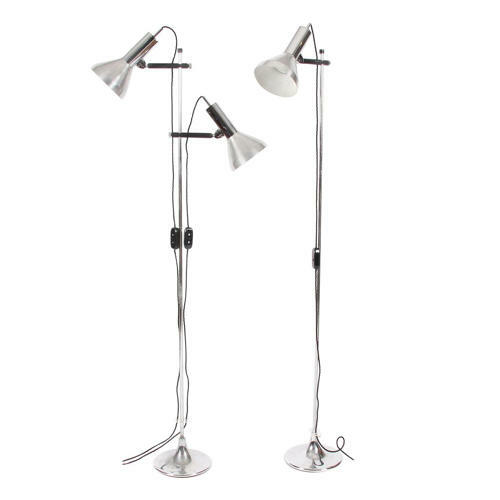 A stylish pair of spotlight floor lamps. With adjustable lamps. Sold separately, or as a pair.